WELCOME TO THE LAUGHING HORSE'S 2019 AUSTRALIA TOUR! 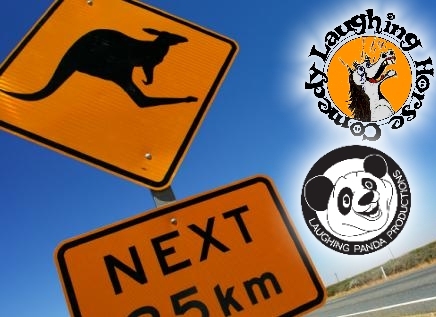 Laughing Horse and Laughing Panda return to Australia in 2019, for yet another year of exciting shows, at Perth's Fringe World, The Adelaide Fringe and the Melbourne International Comedy Festival.... it is all happening again from January 18th to April 21st 2019! have a look around this website to see what's on in each city, we've put another programme of fantastic Fringe shows together, featuring returning favourites and a few new shows! We have the usual mix of everything, with great touring acts from the UK and around the world, late night Adult shows and afternoon Kids and family friendly shows - plus a few brand new shows for this year! There's lot's to see, and we're right in the centre of town in each city in some of the best and well-known venues at each Festival. See you again in Australia!